Ok Bob - you said to start it and you'd do a sticky for it. Here's the Atlanta photo thread. Post photos you've taken of places in and around the immediate Atlanta area. Homes, roads, traffic, smog, attractions, parks, etc. Nothing generic that could be just anywhere (flowers, etc), but photos that depict Atlanta specifically. Try to keep them at a reasonable size (under 900 pixels, NOT full resolution) so that people with slower connections won't have to wait a month to see them. Please limit the number of pics to around 7 per post so as not to bog stuff down! http://bestsmileys.com/signs2/20.gif (broken link) NOTE: Photos should be taken by YOU only! Do NOT post or link to photos online that have been taken by anyone other than yourself ( for legal copywrite reasons) or they should be removed. http://bestsmileys.com/signs2/20.gif (broken link) NOTE: Also note that photos are the property of those who took them, and should not be used by anyone else without the written permission of those who took them. Last edited by atlantagreg30127; 09-14-2011 at 08:20 AM.. I can't let you have all of the fun! 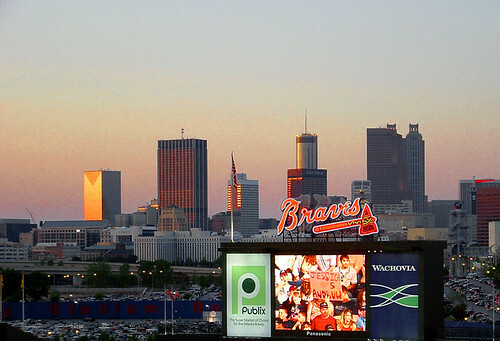 Atlanta's Midtown skyline as seen from the observation deck at the lake in Piedmont Park. Various condo buildings as well as offices can be seen. There has since been a newer skyscraper added to this view and once I take an updated shot I'll update it. (so yes, the drought was/is real). Even though there's more water in the lake now, we're still behind. Last edited by atlantagreg30127; 02-28-2011 at 11:56 AM..
ok I'm getting tired - start adding your pics, people. Here are some pictures of the neighborhood I recently moved to from Old 4th Ward/Inman Park called Historic Westside Village. The area is located due West of Downtown Atlanta/Centennial Park/GA Dome/Phillips Arena & Northside Drive, Due North of the Atlanta University Center (Spelman College, Clark Atlanta University, Morehouse College) & due East of Washington Park http://www.atlantaga.gov/client_resources/recreation/washington.pdf (broken link) & Joseph E. Lowery Blvd. It is an area that is redeveloping with new townhomes, condos & retail directly inside of the development & Single family Housing in the immediate area. It is located directly on a Marta Line MARTA - Getting There - Rail Stations (http://www.itsmarta.com/getthere/stations/ashby.htm - broken link) and offers quick access whether via Highways or Streets to everything Atlanta has to offer. The area is across the street from the largest consortium of Private HBCU's in the world Atlanta University Center, Consortium. The immediate area used to be a hub of African-American business until segregation ended and Blacks vacated many of the immediate areas to move to other suburbs in the metropolitan area that were'nt open in previous years which left the area stagnant. Similiar to other inner cities it became a haven for the poor. The area is slowly recovering due to gentrification, renewed interest in the area & new retail, commercial and residential development that is continuing on. Here is a guide listing the descriptions of the pictures. Enjoy! 1. Washington Park - Has a lovely Tennis Center with 8 courts & Swim Center with two olympic size pools that were built in 2003 (Brand new & under-utilized). 2. The Commons Townhomes at Westside Village with condos adjacent condos in the backround. 3. Nice end-unit townhome in the Westside Village subdivision. 4. The Ashby Marta Station steps away from the Westside Village. 5. The Savannah Homes by JLW Homes on across from Washington Park. 6. Washington Park Tennis Center. 7. Lawn green area at Washington Park. 8. House in the Savannah @ Washington Park subdivison by JLW Homes. Thank you for this thread and the pics I hope we will see more from others. Thanks once again. Nice pics. I & the Mrs (Secretary of the War Dept) will be visiting your fair city in about 6 weeks. I live in Atlanta. Those deer were in my yard a few months ago. 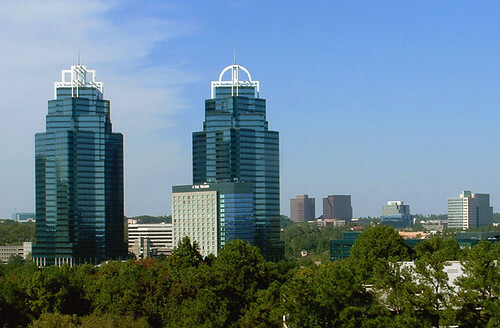 Do you live in Atlanta or a city outside of Atlanta in the general metropolitan area? I would be very surprised to see a deer inside of Atlanta proper.